Priced to sell! 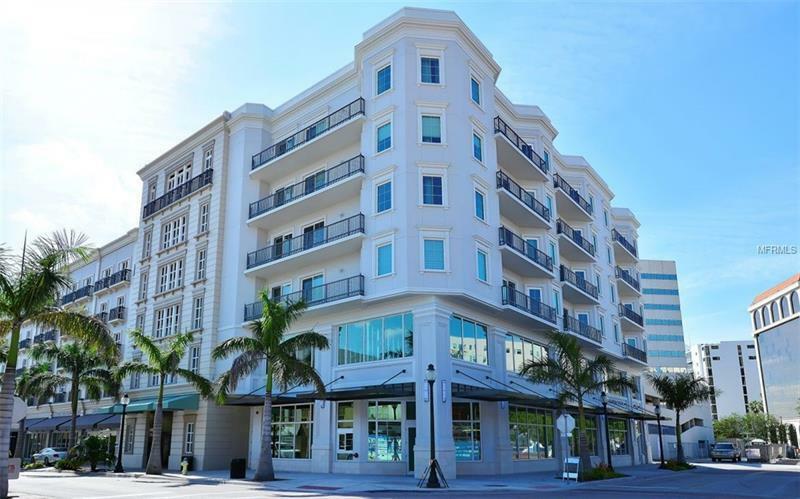 Exceptional investment opportunity at one of the newest and hottest spots in downtown Sarasota. A wonderful designer was engaged to design this beautiful unit, from the upgraded smooth walls, upgraded lighting and tile, and granite choices to the beautiful furnishings. This truly is a place where you can just bring yourself and have all the accouterments of a fine residence. Use this as your primary residence, and enjoy all of the perks of living an elevator ride away from the fine restaurants, arts and shopping of downtown Sarasota, and a short ride to the beautiful beaches. Or liberal rental policies make this a perfect investment â let it work for you and enjoy it when you can. Call for an appointment to see this lovely unit. Furnishings available by separate negotiation.